New Asha series phones are the ones making cash registers ring for the company across India. The latest to join the bandwagon of Nokia’s feature phones is the Asha 501, which was unveiled a few months back by Nokia chief Stephen Elop at an event in India. Nokia has been known to come out with solid, sturdy devices rather than flashy, glitzy ones when it comes to its budget phones. This time Nokia Asha 501 is here to reveal the brand’s playful side in the feature phone segment. Here is review of Asha 501 below. At a time when phones seem to be getting bigger, the Nokia Asha 501 goes the opposite direction, opting for a compact build with dimensions of 99.2x58x12.1mm. It is pretty light in weight at just 91 grams. The Asha 501 easily reminded us of the Lumia smartphones and though it is a bit chunky, thanks to its design, it fits in one hand easily. The front panel is dominated by a 3-inch display that is surrounded by a black bezel with a physical ‘Back’ key placed at the bottom of the panel and the Nokia logo on top of the screen just below the earpiece. The top panel houses a 2.5mm charging port, a Micro-USB port and a 3.5mm audio port. Nokia has followed the same Lumia design language, placing the physical keys for volume controls and power buttons on the right. 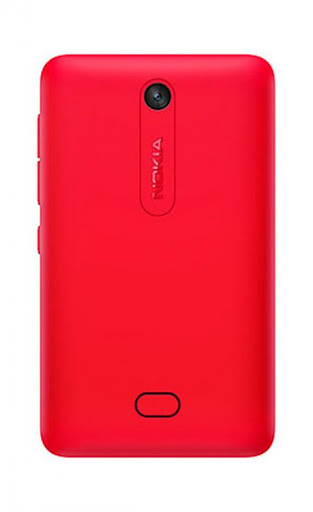 On the back device includes a 3.2-megapixel camera placed at the centre towards the top, with a vertical Nokia branding just below the camera. At the bottom of the rear panel, there’s a button that can be pressed to remove the back panel. The battery is removable and a Micro-SIM card slot hides behind it in the same compartment. The second Micro-SIM can be changed without switching off the device and same is the case with the memory card. The back panel is an exchangeable shell which can be replaced with other bright colored panels that include Red, Cyan Yellow, Green, White and Black colors. Overall, the Nokia Asha 501 is impressive in design which generally exudes quality and matches international design standards. The handset, despite its relatively low price, feels solid and is comfortable to use. The Nokia Asha 501 includes a 3-inch capacitive display. The 3-inch TFT capacitive display comes with a resolution of 240×320 pixels and boasts a pixel density of 133PPI. The display has good viewing angles and is readable under the sun. It includes options like brightness control, RGB Stripe, and support for the double tap to wake up gesture. The display is responsive to touch, though at times it has a bit of a lag. It supports two-point touch and includes a proximity sensor. 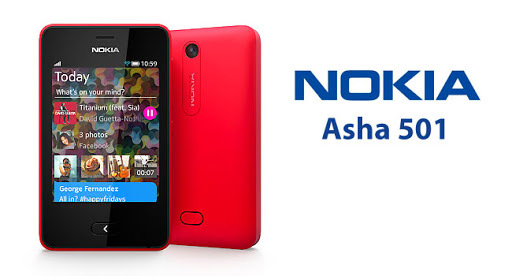 The Nokia Asha 501 comes with 128MB of internal storage and 64MB of RAM. It also supports expandable memory cards up to 32GB through microSD card slot. Connectivity features include like Wi-Fi, Bluetooth and Micro-USB. However, there’s no 3G on the device. The device packs a 1200mAh battery that claims to deliver 624 hours of standby time and a talk time of 17 hours. 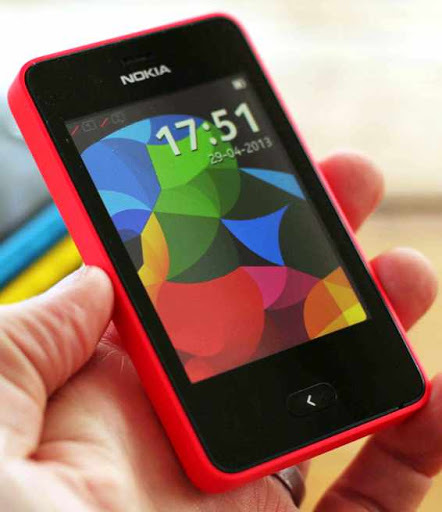 With the Asha 501, Nokia has introduced a new platform, the Nokia Asha software platform 1.0. However, the user-interface is similar to that of the S40 operating system found in previous versions of the Asha series of touch phones. There is a notification bar at the top, similar to what we have already seen in previous Asha phones. You can pull it down to see SIM information and adjust Wi-Fi, Bluetooth, mobile data and sound profile settings. 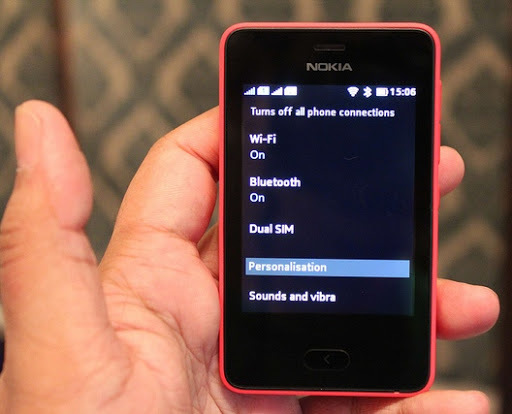 Nokia Asha 501 comes with a UI that is easy to use and largely dominated by gesture controls like swiping. 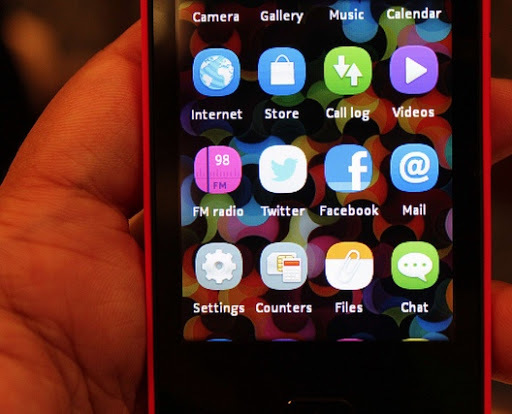 Nokia unveiled the Fastlane feature for the Asha 501. It collectively shows all the recent apps in a list form according to dates. The feature gives a quick overview your activity. For instance, if you played a game or used an app on the device it will automatically be featured on the Fastlane as a log. It is also the default homescreen when one unlocks the phone, and doubles up as a task-switcher of sorts. Swiping the screen from either side, from any app or game takes you directly to the Fastlane. While using an app, you can access options by swiping up from the bottom and these appear. The Nokia Asha 501 comes with the company’s proprietary Xpress Browser, which was introduced for the Asha range of phones. The browser compresses the data, much like the Opera Mini. One can open up to 6 web pages on the device at once and can switch between them. There are not many personalisation options on the Asha 501, which is a bit of a let down and one can only change the wallpaper and sound profiles. The phone comes with the default standby screen with a digital clock, and you can change it in the Settings through the ‘Glance screen’ option. The phone comes with some preloaded apps and games. The games are Java-based but the experience was great for a phone at this price point. The Asha 501 comes with 40 free EA games that can be downloaded using Wi-Fi. Some popular apps that come pre-installed include Facebook, Twitter, Nokia Chat, twist Music and NewsHunt. WhatsApp is said to be available on the platform shortly. Users can browse and download apps through the Store. 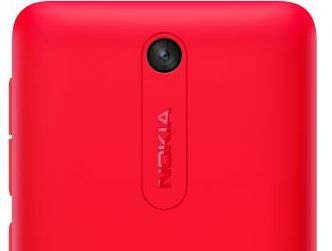 The Nokia Asha 501 comes with a 3.2-megapixel camera without flash and auto-focus options. The camera comes with some basic features and offers toggles for timer settings, white balance, effects and photo resolution adjustment. The camera comes with digital zoom up to 3X. The camera can take decent shots in daylight with good colors but lacks details, and we found that night shots were not that great and indoor photos were also grainy. The Nokia Asha 501 is not a device to click close-up shots because of the camera’s fixed-focus nature. The pictures miss out on detail but considering the price and the audience device doesn’t disappoint completely. The phone offered good call clarity with both the SIM slots. The Nokia Asha 501 handled swiping well and was smooth and responsive for most part. Some apps did freeze at times, but we were able to exit to the home screen through the back key. The phone can be unlocked either by using the power key or by double-tapping the screen, which is a cool feature. Sadly the music player of the Asha 501 misses out on basic options like adjustable equalizers and pre-set music profiles. The music player interface does show the artwork related to the song and the album. The FM radio reception was decent. The speaker was good and loud. We had no complaints watching some of our favourite videos on the device through YouTube, though the video playing experience was limited with no support for MP4, MOV, MKV or AVI file formats. It was unable to play 720p video either. The Gallery app supports pinch to zoom which works well and gives options to share images through Bluetooth and email. When we used the device (with Wi-Fi) for Web browsing, chatting, playing games, we found that the battery just about lasted a day. However, when not using Wi-Fi or data on the phone and using it for just normal calling, messaging, occasionally clicking photos and playing some games, the device lasted a couple of days with just one full charge. The Nokia Asha 501 is definitely good but disappoints in some areas. If we consider the price of the device and the features that it brings, it is overall a very good deal. For those looking to buy a feature phone that delivers a smartphone-like experience, the Nokia Asha 501 is a decent package. Overall, the Asha 501 scores stands out well in terms of design, user-interface and build quality.